Haradanhalli Devegowda Kumaraswamy is currently the Chief Minister Designate of Karnataka, and was elected to the Karnataka Assembly from Channapatna and Ramanagara Assembly Constituency in the recently concluded State Assembly elections in Karnataka. He is the current Karnataka Legislative leader of JD(S), while he remains as the Karnataka State President of JD(S). H D Kumaraswamy is also into Kannada film industry as a producer, distributor and exhibitor. 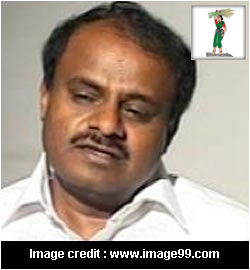 H D Kumaraswamy is the son of former Prime Minister of India H D Deve Gowda and Chennamma. He was born in a village named Haradanhalli in Hassan District on December 16, 1959. He went to government school in Hassan to complete his primary education, before moving to MES Educational Institutions in Jayanagar, Bengaluru, to complete his high school studies. The Vokkaliga leader joined Vijaya College to complete his Pre-University College before earning his B.SC degree from National College in Benagluru. On 13 March, 1986, Kumaraswamy or Kumaranna as he is fondly called, married Anitha and the couple have a son named Nikhil Gowda. In 2006, Kumaranna married Radhika a Kannada actress and have a daughter named Shamika Kumaraswamy. The latter marriage was controversial as Kumaraswamy was charged for bigamy under Hindu Personal Law, although, the Karnataka High Court dismissed the case due to lack of proper evidence. Unlike his father, Kumaraswamy wasn't interested in entering politics initially, as he was interested in a career in film-making and distribution. However, during the 1996 General Elections, he entered into the political fray. 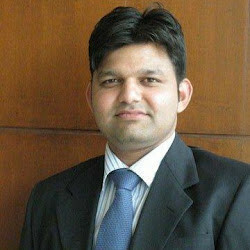 He was elected from Kanakpura Parliamentary constituency to the 11th Lok Sabha. Kumaraswamy called for a re-election in 1998, where he lost to Congressman M V Chandrashekara Murthy, to top it off Kumaranna had to forfeit his deposit to Election Commission. In 1999, he again suffered defeat, this time from Sathanur assembly seat. Fortunes changed for the JD(S) leader in 2004, when he won the elections from Ramanagara Assembly constituency. The results of the 2004 Karnataka Assembly electons delivered a fractured mandate for a hung assembly, however, the Congress and the JD(S) came together to form an alliance with power sharing arrangements. Dharam Singh of the Congress became the Chief Minister, but after 19 months, Kumaraswamy along with his 41 MLAs exited the coalition. In January, 2006, Kumaraswamy was invited by the then Governor T N Chaturvedi to form the government as BJP came into 20-months power-sharing agreement with JD(S). He became the state's Chief Minister on February 4, 2006, and remained in office till October 8, 2007, before resigning, as he refused to transfer the power to the BJP for the next 20 months. Soon he became the JDS' Karnataka State President, as he was elected to the office after the demise of former JD(S) State President Merajuddin Patel, but in 2013 he resigned from the post after the party's abysmal performance in the Bangalore Rural Lok Sabha constituency and Mandya By-Elections. In Novermber 2014, he was again elected as party's Karnataka State President. He is set to become the next Chief Minister of Karnataka once again, as the people of the state have delivered a fractured mandate for another hung assembly, but with support from Congress party, he will be sworn-in as the Chief Minister on May 23, 2018. Elected as Member of Parliament from Kanakpura Parliamentary constituency in 1996. Elected as Member of Karnataka Legislative Assembly from Ramanagara Assembly constituency in 2004, 2008, 2013, and 2018. Elected as Member of Karnataka Legislative Assembly from Channapatna Assembly constituency in 2018. Two-time Janata Dal Secular Karnataka State President.